The “Give Me An Answer” ministry began as an outgrowth of the dialogues Cliffe Knechtle has had with students on various university campuses throughout the United States. These universities include the University of Maine, Harvard, MIT, University of Florida, University of Texas, University of Wisconsin, University of Minnesota, University of California Los Angeles, University of California San Diego, Berkeley, Stanford, University of Hawaii and the University of Washington. 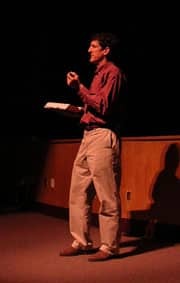 Cliffe has been reaching out to university students in this way for 20 years and has a desire to reach more people through television ministry. The “Give Me An Answer” television ministry began in 1991 and hopes to reach as many people as possible for Christ. The purpose of this not-for-profit ministry is to introduce people to Jesus Christ and to teach them to follow Jesus as Lord of every area of their lives.